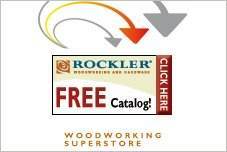 Using free workbench plans, design your workbench for maximum convenience and you'll never be sorry. Keep your tools within reach and build the workbench at a comfortable working height for you. 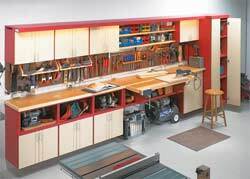 We have a multitude of workbenches including folding, portable, garage and full size workbenches. 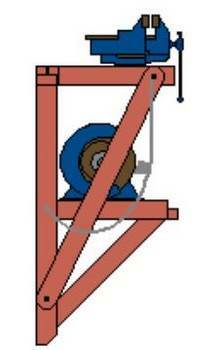 Besides building your workbench at a good height for you, you will probably want some method for holding the work in place at a convenient position and height so that you are free to use both hands on the tools. 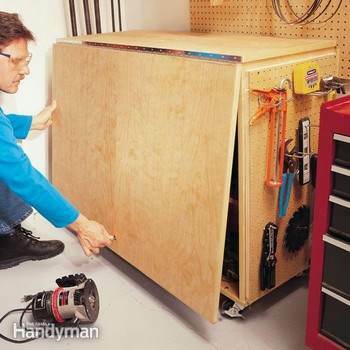 These workbenches will fold out of your way when necessary. They are great for small spaces or for a garage. Build this wall mounted folding workbench that is a must have in a small workshop as it helps free up space. 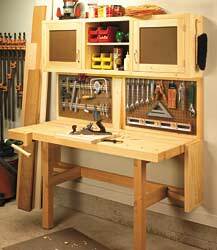 Create a simple yet effective workbench with this design. 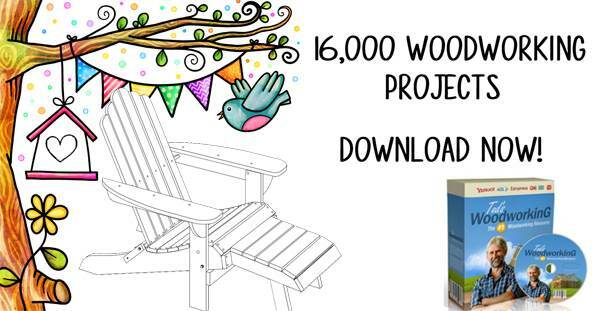 Perfect for tackling any do it yourself project at home. This is a great project for when your workshop is in your garage. 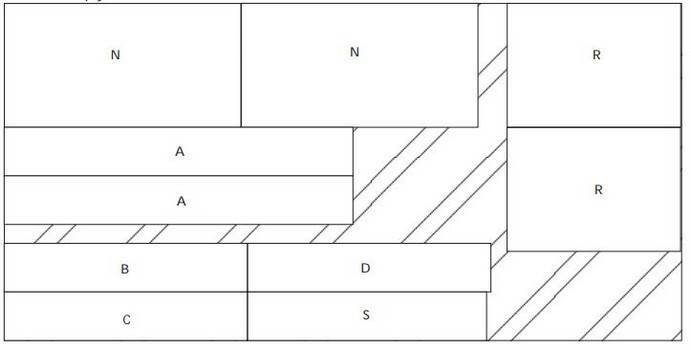 Here is a plan for a workshop that takes up one wall with tons of storage and counter top space. Build a workstation that has it all and can easily fold up and out of the way when not in use. Materials list, cutting diagram and drawings only for a fold down workbench. 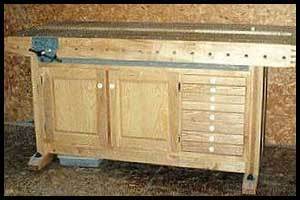 Here is a plan for a wooden workbench that easily folds up and out of the way to help free up floor space. 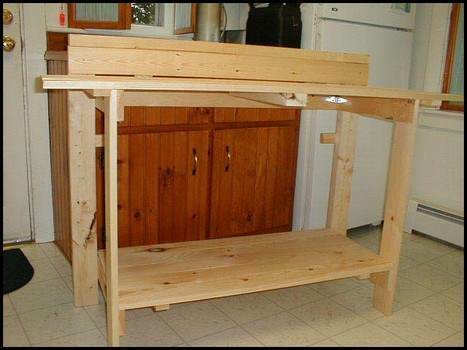 With only two sheets of plywood and some hardware you can easily build a folding workbench that also has wheels for ease of movement.